The Czech Republic is a landlocked country in Central Europe. The country shares borders with Germany, Slovakia, Poland, and Germany. The official language is Czech. Below is a selection of resources for searching for employment opportunities as a foreigner in the Czech Republic. Just Landed: Just Landed is neither a job search engine nor a classifieds site, but it has lists of the top job search sites in the Czech Republic. Career Jet: I’m sure you’ve heard of Career Jet. They have job search options for the Czech Republic. Indeed: The Czech version of the big U.S. job search site Indeed.com. Teaching English will probably be your “easiest” option (if you are a native English speaker that is). All of the sites below are pretty similar and have a massive amount of teaching English job options. Browse through each of the sites for any English job opportunities in the Czech Republic. Also, be sure to check out this cool table from the International TEFL academy that shows how much money teachers can expect to make in various countries around the world. My Czech Republic: Links to the top job search engines and recruiting agencies in the Czech Republic. Transitions Abroad: Great first-hand accounts of what it is like to live and work in the Czech Republic. Expat Blog: Talks about what it is like to be an English teacher in Prague. Fannetastic Food: Anne recounts the frustrations of searching for a teaching English job in the Czech Republic. There you have it. The best places to find jobs in the Czech Republic as a foreigner. 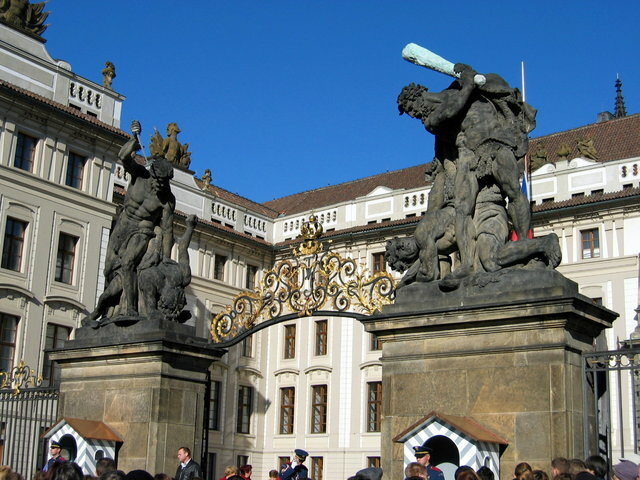 For information on visas for the Czech Republic, be sure to check out my Czech Republic visa page. If you are looking to spice up your dating life, check out my post on the best online dating sites in the Czech Republic.